Learn where B2B marketers are investing their time and budget to nurture and convert prospects in Chief Marketer’s 2018 B2B Lead Gen Trend Survey. 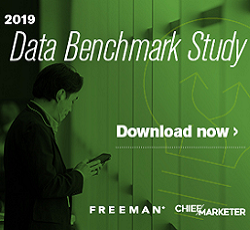 In Chief Marketer’s exclusive B2B Lead Gen Survey, learn the challenges B2B marketers are facing—and the opportunities they’re missing. The road to B2B sales rarely—if ever—has just one stop. Prospects connect with brands at multiple touchpoints along the way before hopefully ending their journey at the point of conversion. The best brands define their voices early and execute it in everything they do. Read about 4 excellent examples to learn from in UWA Online’s article “Brand Voice Examples For Creative Marketers”.